Walking through this city never gets old. 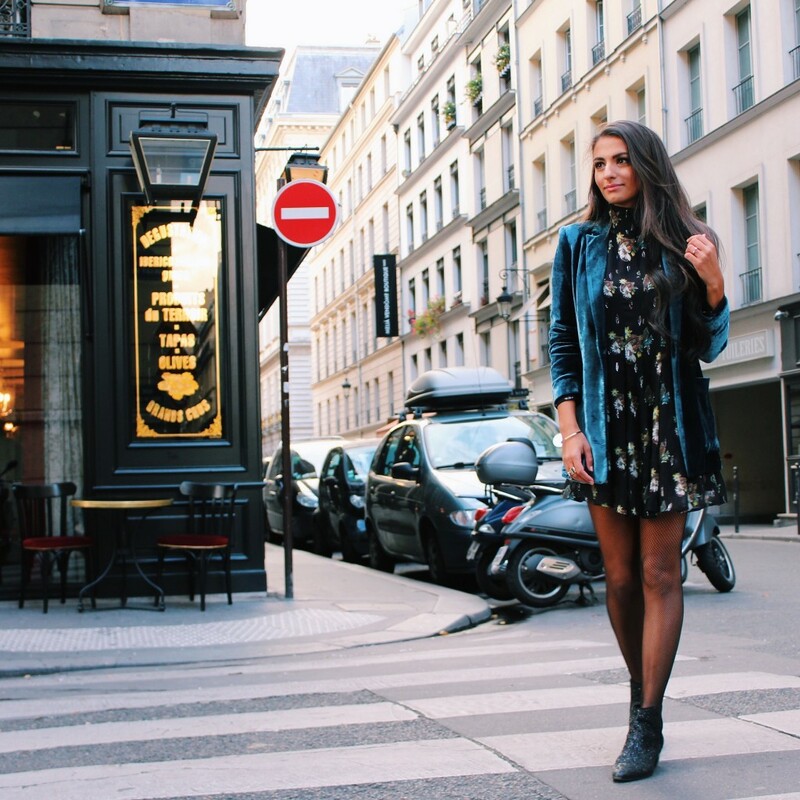 The typical Parisian streets, the French café’s and restaurants and the amazing shops and boutiques make me fall in love with this beautiful city every time I visit! And when I visit Paris I always love to dress the part, this time with this velvet blazer from mango which I absolutely love. A little while ago I visited my absolute favourite city, Barcelona!!! In this photo diary I’ll show you a couple of my favourite moments from this trip! 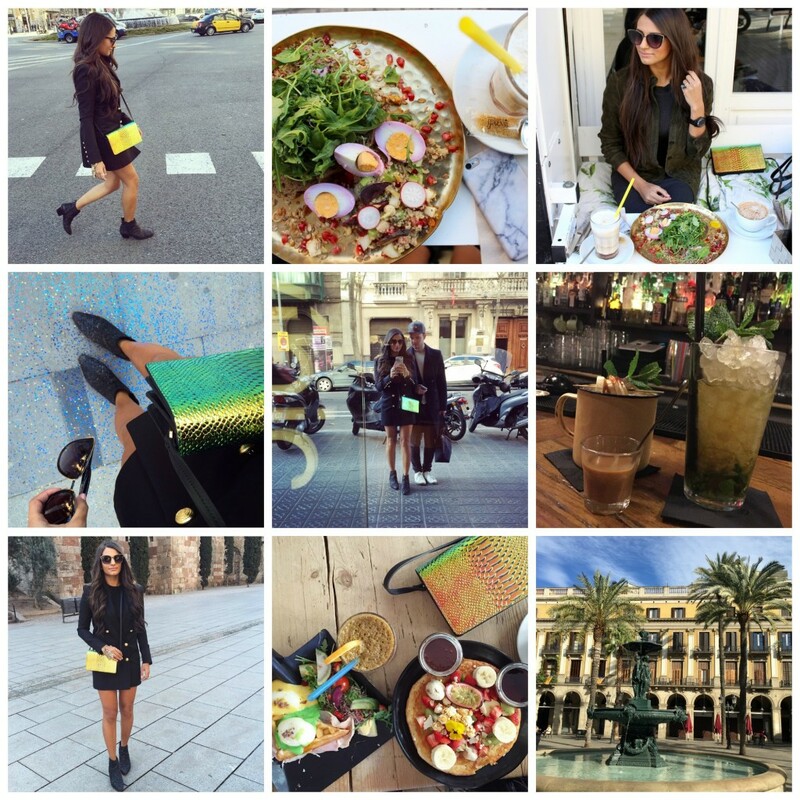 There will be some outfit posts from Barcelona on the blog soon! And how I love velvet, this velvet legging is one of my all time favourites. It’s so comfy and still looks fashionable and chic. This fall/winter it is such a big trend and you see velvet items in almost every designer collection. Lucky for us zara, h&m and so much more retailers are going with it. For a party outfit or just for the day I think this trend is amazing! I bought this legging at Mango last year but they sell similar ones at this moment. I’m loving the simplicity in this outfit a basic white t shirt is such a must and goes with everything! 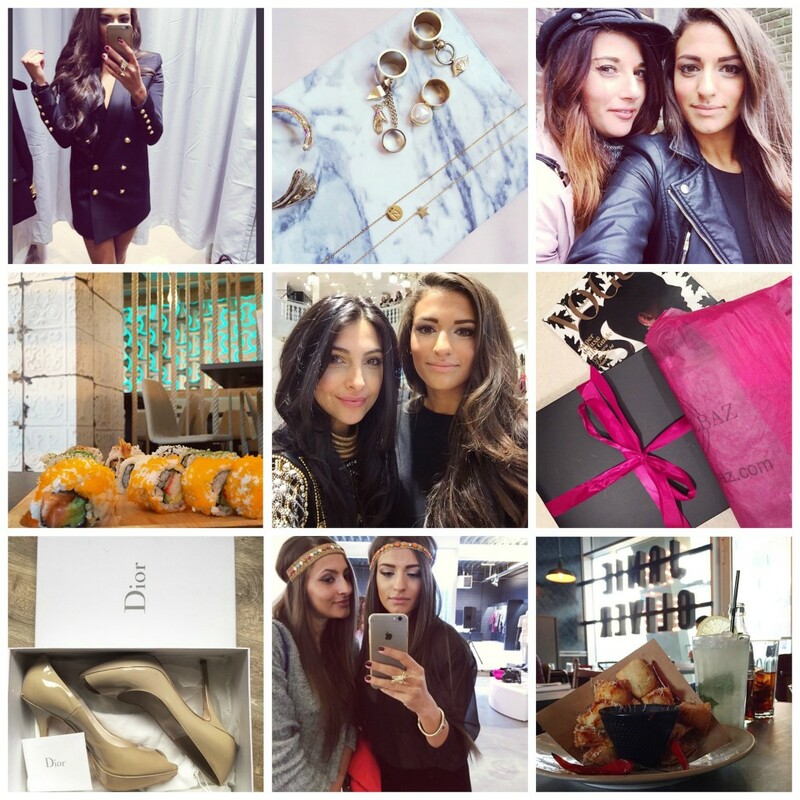 In this photo diary I’ll share some of my favourite moments from October and November. (Shopping, Fashion, Friends, FOOD etc.) Also I’m talking about a new subject, starting my own Youtube Channel. On my Instagram (nadiavdv) I get a lot of questions about hair and make-up tutorials. Since I’m not really an expert in Vlogging and how to make a tutorial I have to invest a little more time in this before I can upload videos on the blog. But I’ll try to make this happen as soon as possible. This outfit is probably one of my fall favourites! The faux leather pencil skirt, glitter H&M Studio top and my fav flat metallic shoes already puts my mindset in holiday season! I think a little bit of glitter or sequins are always fun as long as it isn’t too much of it. With the faux leather skirt it makes this outfit so much more casual. I wore my leather jacket over the top but I took it off in the pictures so you could get a better look at the top. I’m so excited to share these pictures with you. Last week I won the chance to pre shop the Balmain x H&M collection at the H&M store opening in The Hague with dutch blogger/vlogger Anna Nooshin and five other beautiful girls. I couldn’t have been luckier, anyone with internet has seen the Balmain x HM craziness all over the web. Hi guys! With this new season come lots of new trends in fashion. In this outfit post I’ll show you some MUSTHAVE pieces for every season. Let’s start with a classic black skirt, I’m obsessed with mine mainly because it is so easy to combine and so chic and I actually wear it every season just combined differently. I love wearing this mini skirt with a nice statement jacket what is a musthave in your wardrobe!!! Hi guys, it has been a while since my last photodiary. Due to my trips in the summer (Paris/Barcelona/Mexico) I’m catching up on my weekly schedule again from now on. And since September was a bit less eventful I thought it would be fun to share some of my favorite moments with you guys! Who ever is following me on Instagram (nadiavdv) probably already have seen some of these moments. When you plan to visit Barcelona during summer, a visit to the wetdeck summer parties at Hotel W is a must! Each Sunday they host these fabulous parties and it definitely is THE place to be in Barcelona on your Sunday evening! I had so much fun it is such a beautiful location with amazing views (at the Barcelona beach), drinks and the best music (this evening it was R&B and latin so my fav!!). This was our first day in Barcelona, The night before we arrived pretty late so I was still a bit tired but couldn’t wait toexplore one of my fav cities again! The photos were taken at Parc de la Cuitadella, and it really is one of the most beautiful parcs I’ve ever seen. With lots of palmtrees, lakes, flowers, this beautiful fountain and so much more it has everyting for a nice picknick , a fun celebration or just for relaxation with a nice book and some music. I’ve been here before and will always go back each time I visit this city.